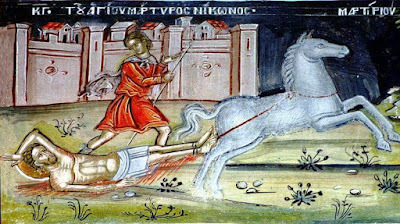 Below is the monthly review for the month of March of the ten most popular articles from the previous month on johnsanidopoulos.com, then all the posts made on the other websites of the Mystagogy Resource Center. On the thirty-first Hypatios was carried off to life. O mother of the athlete and beautiful child Euboula. 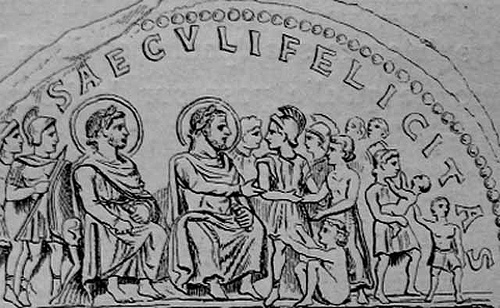 Saint Euboula lived during the reign of Emperor Maximian (286-305), and was from the city of Nicomedia. 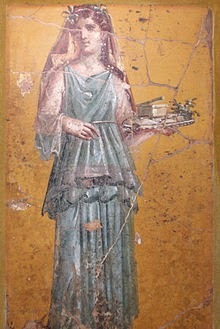 She was the wife of a Greek pagan named Eustorgios, while she was from a family of Christians. 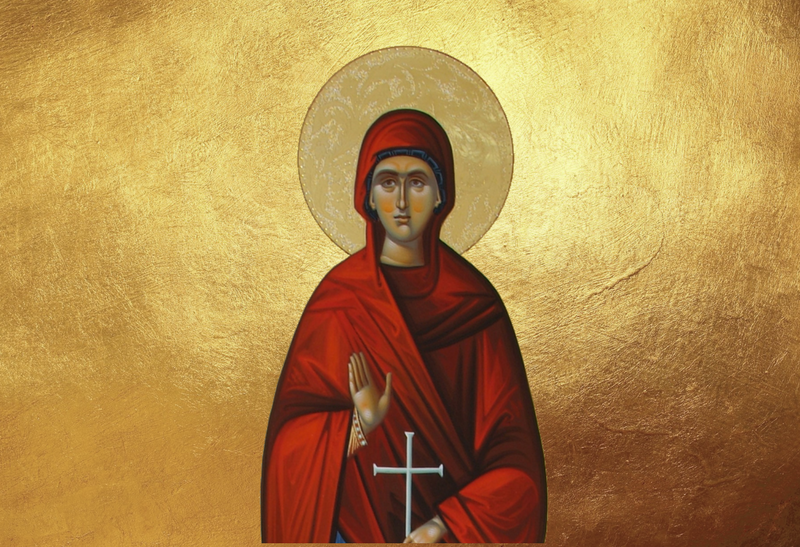 Saint Panteleimon was born to her, and she raised him to love God. 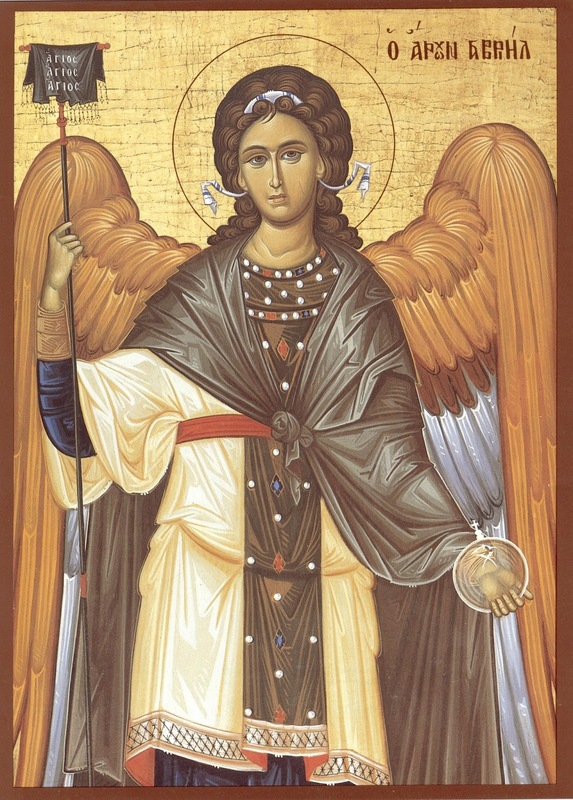 She reposed in peace, and today her marble tomb is located in the Cave of the Magi under the Monastery of Saint Theodosios the Cenobiarch to the east of Bethlehem, along with the tombs of 35 other renowned Saints. On the thirtieth John rejoiced to be set free. 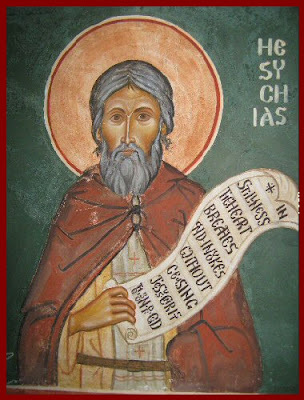 Saints Jonah and Barachisios (March 29) are the patron saints of Farasa in Cappadocia. It was in the church dedicated to them that Saint Arsenios of Cappadocia often liturgized. 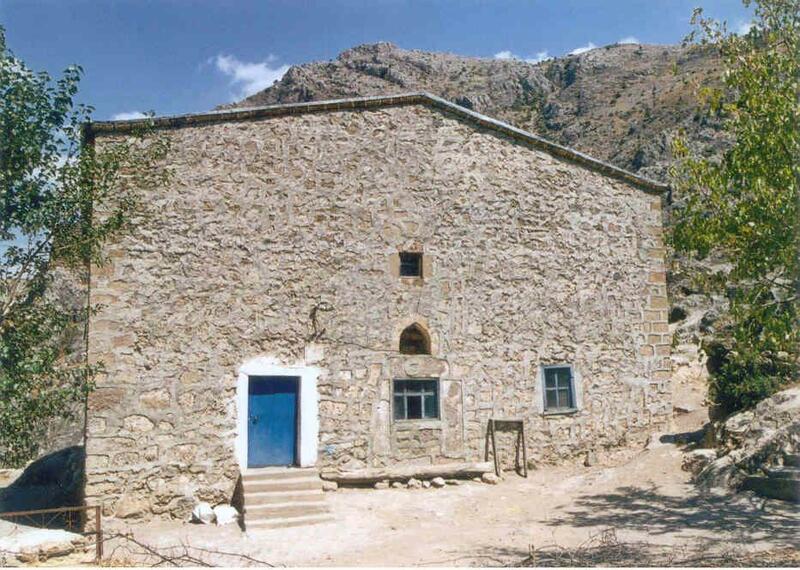 Saint Paisios the Athonite tells us that he often held vigil services here from 9:00PM to 3:00AM. Before the population exchange, Saint Arsenios dug a pit in this church and buried the sacred vessels he could not carry with him, so as not to be desecrated by the Turks. 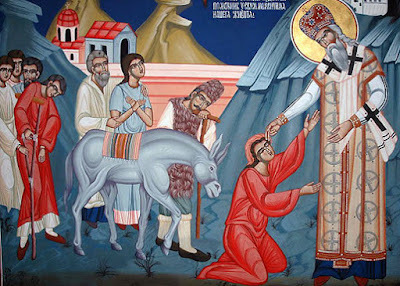 And after the villagers fled, and had walked 60 km, Saint Arsenios forgot the fragment of holy relic of Saint John Chrysostom that he had left in this altar, so he returned alone to retrieve it, not wanting to tire the travelers anymore, and when he returned to his flock they were waiting for him anxiously. Unfortunately, after the population exchange in 1924, this church was converted into a mosque, and the sanctuary was converted into a bathroom. On the twenty-ninth the Athletes went to the heavens. 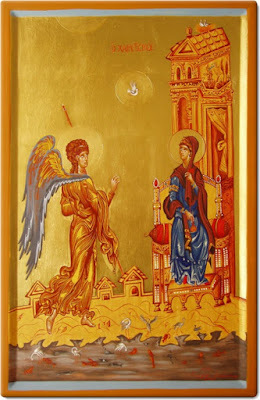 It was related by a certain old man who said: There was a virgin who was far advanced in years, and who had grown old in the fear of God, and having been asked by me to tell me the reason why she left the world, she began, with sighs, to speak to me as follows: 'Great and marvelous things have happened unto me. When I was a young girl I had a father, who was a pleasant man, and who was modest in his disposition; now he was a delicate man in health, and he was always suffering from some kind of sickness, and he lived entirely to himself, and never interfered in the affairs of other people, and it was with the greatest difficulty that he could be induced to see the people of his village. 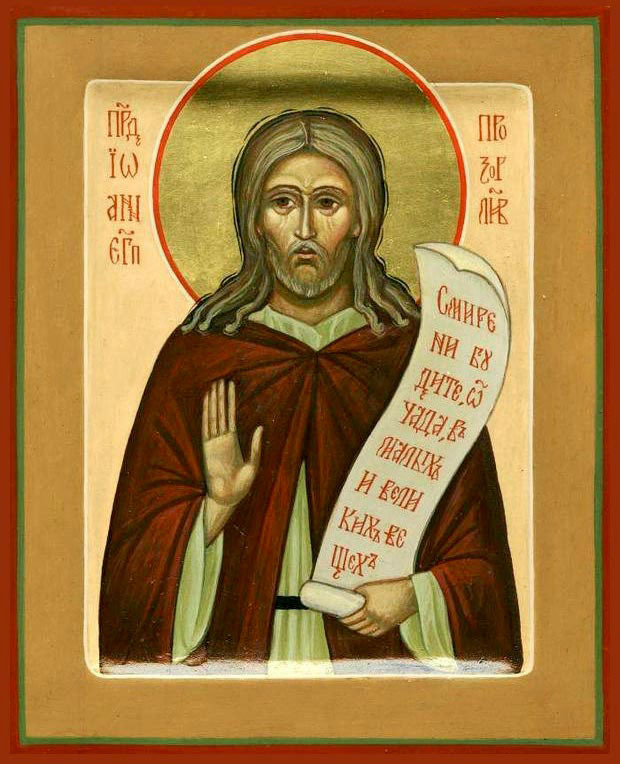 When he was in good health he devoted his attention unceasingly to the care of his estate, and he occupied himself at all seasons with the cultivation of his fields; but finally he was obliged to pass many long days of his life laid out on a bed of sickness, and he was so quiet that those who were not acquainted with him would have thought that he was deaf. And I had a mother, who, in all her ways and manners, was the opposite of my father, and she used to do things which were beyond her capacity; her words to everyone were many, and she poured out her speech uselessly to every one, and she talked so much that everyone imagined that her body was composed wholly of tongues. Moreover, she had quarrels with her neighbors continually, and she was always in a state of drunkenness, and she drank shamelessly at all times with wanton folk, and she managed the affairs of her house badly, after the manner of a harlot. At length, though the house was well furnished with goods of every kind, it was with the greatest difficulty that the people could find enough to supply our wants. She was very lax in the care for the things which my father required in his illness, but she displayed the utmost attention in providing for her own body in a disgraceful manner, and the people of the village at length fled before her shameless appearance. No illness ever came upon her, and she had never been ill in the whole course of her life, from the day she was born, and she was healthy in body until her death. 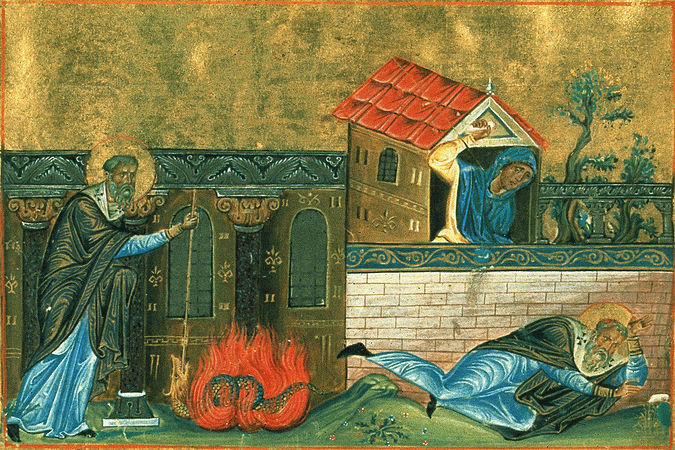 A certain virgin, the daughter of an elder in Caesarea of Palestine, having been beguiled and led astray by a man, fell, and he who had beguiled her instructed her to make an accusation against a certain reader of the church of the city. 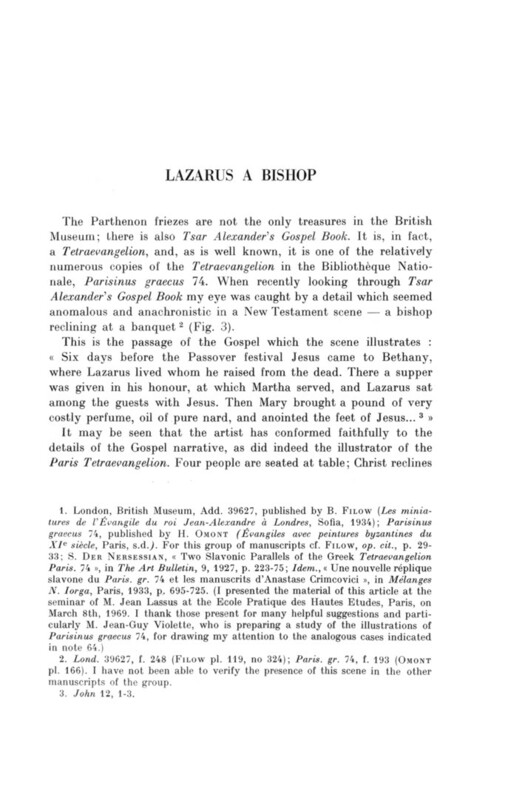 And the time having arrived when her conception became known, and being called upon to confess her matter by her father, she made the accusation against that reader, and the elder, her father, thereupon, like one who believed her implicitly, made the affair known to the Bishop. 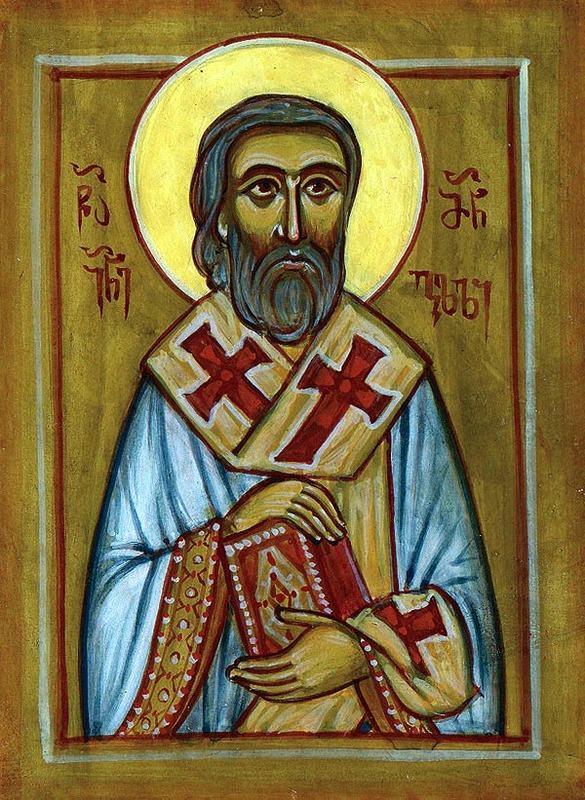 Then the Bishop laid his hand upon the shrine, and commanded that the reader should be called, and his affair having been enquired into, like one who was confident in his own integrity, he was unwilling to confess that he had done the wrong; for how was it possible for him to accuse himself of that which he had not done? And the Bishop becoming angry said unto him, “Will you not confess, O wretched and polluted man, you who are guilty and full of uncleanness?” And the reader answered him, saying, “Master, I have neither knowledge nor feeling about this matter, for my thoughts and mind are clean in respect thereof, and no thought concerning this woman has ever entered my mind. 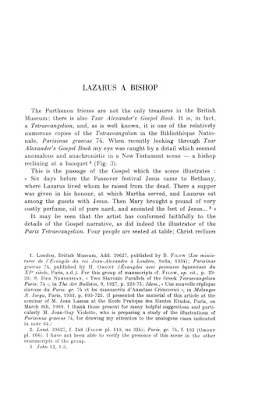 But if you wish to hear that which has never taken place, I will say that I myself committed the offense.” And having spoken thus, the Bishop straightway removed the reader from his position. 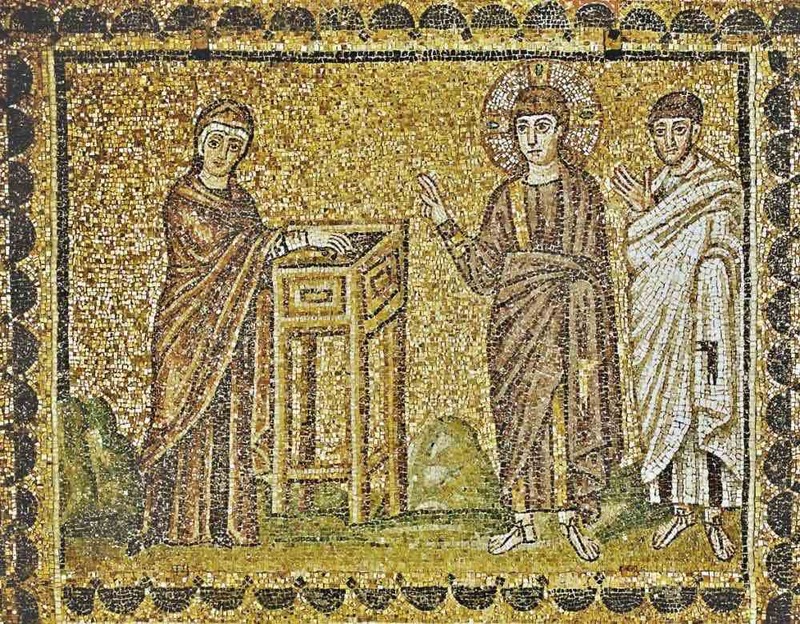 Then the reader drew nigh and entreated the Bishop, saying, “Master, since I have stumbled and fallen, give the command that the woman be given unto me to wife, for I am no longer a cleric, and she is not a virgin.” So the Bishop gave the woman to the reader to wife, because he thought that he was held by love of her, and that he could not cut the affair concerning her out of his thoughts. 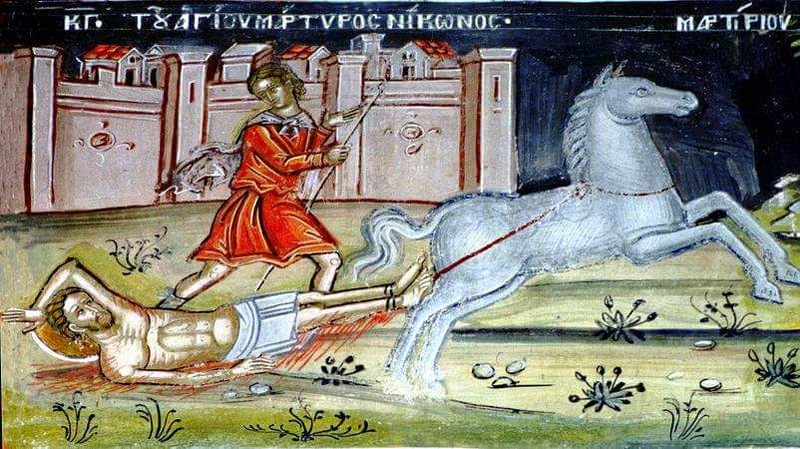 During the persecution under Valerian (253-260), three men in Caesarea of Palestine, being conspicuous in their confession of Christ, were adorned with divine martyrdom, becoming food for wild beasts. One of them was called Priscus, another Malchus, and the name of the third was Alexander. They say that these men, who lived in the country, acted at first in a cowardly manner, as if they were careless and thoughtless. For when the opportunity was given to those who longed for the prize with heavenly desire, they treated it lightly, lest they should seize the crown of martyrdom prematurely. But having deliberated on the matter, they hastened to Caesarea, and went before the judge and met the end we have mentioned. 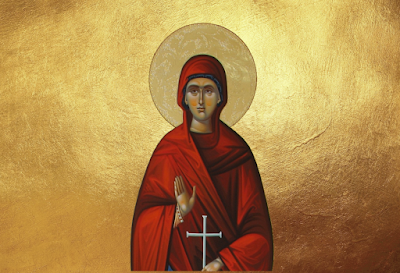 There was a certain virgin who was a nun, and who dwelt with two other nuns, and she had led a life of abstinence and voluntary self-denial for nine or ten years. 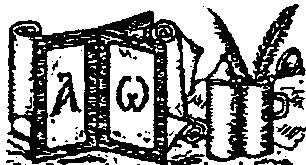 And having been beguiled and led astray by a certain chanter of Psalms, she stumbled, and fell, and conceived, and gave birth to a child. Now she hated with the fullest hatred him that had beguiled her. And she repented within herself with a perfect repentance, and she followed after repentance with such vigor that she went beyond the bounds of what was seemly, and she continued to observe fasts with such self-denial and strictness that she well nigh died of hunger. John, who lived in the city of Lycopolis, and who had learned in his youth the craft of the carpenter, and whose brother was a dyer, afterwards, when he was about five and twenty years old, took upon himself the garb of monkhood; and having lived in diverse monasteries for five years, he finally departed by himself to the mountain which is in Lycopolis, to the lofty eminence which is on the top of the mountain, and made three cells for himself there. Now he built and prepared these for himself in the first year after he went to the mountain and went up into it. The first cell was for the needs of the body, in the second he labored at the work of his hands and took his food, and in the third he said his prayers, and during the three (or thirty) years in which he was in seclusion there he was wont to receive whatsoever was necessary for him through the window from him that ministered unto him. Together they dwell in the city above. Our Venerable Father Paul was born in Constantinople to devout and pious parents, and he had three brothers named Dionysios, Plato and the renowned Saint Peter the Wonderworker and Bishop of Argos (Jan. 3 and May 3). 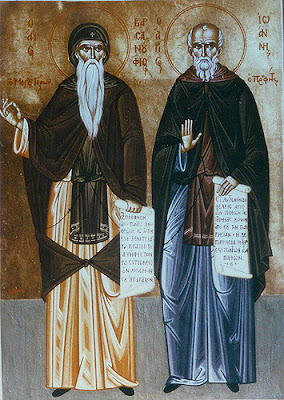 The entire family together decided to embrace the monastic life, though the older brothers Paul and Dionysios embraced it first, while the younger brothers Plato and Peter embraced it in imitation of them, followed by their parents. Palladius also told us that he had heard a certain sea captain once tell him about a voyage of his when he had several male and female passengers aboard. 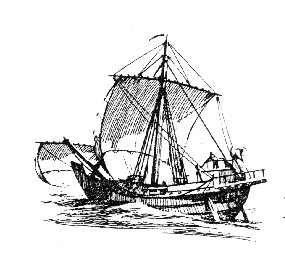 Out on the high seas other ships seemed to be sailing well under a favorable wind, some to Constantinople, some to Alexandria, some to other places, but he could make no progress at all. How the blessed one bravely subjected himself and was slaughtered. Giving up his life for Him by the sword. 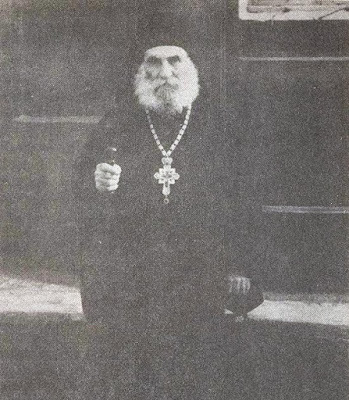 Manuel declared of his blood. Approached God, O the bravery! You stand before God receiving the wages for your toil. 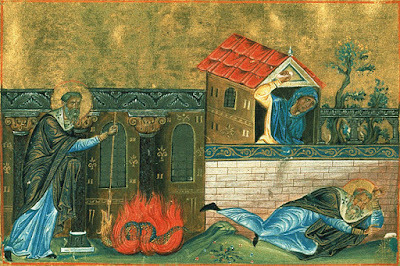 Saint Stephen the Confessor was Abbot of Triglia Monastery in Bithynia during the reign of the iconoclast emperor Leo the Armenian (813-820). 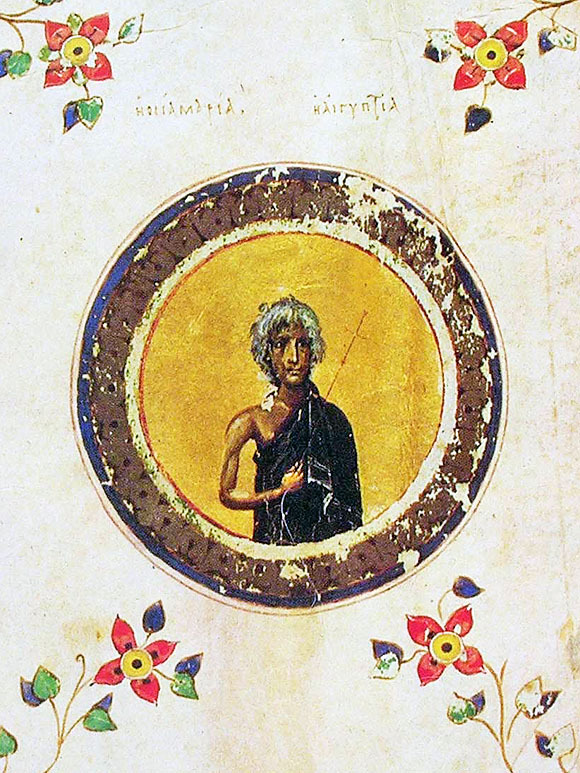 From a young age, the holy ascetic dedicated his life to God and received monastic tonsure. 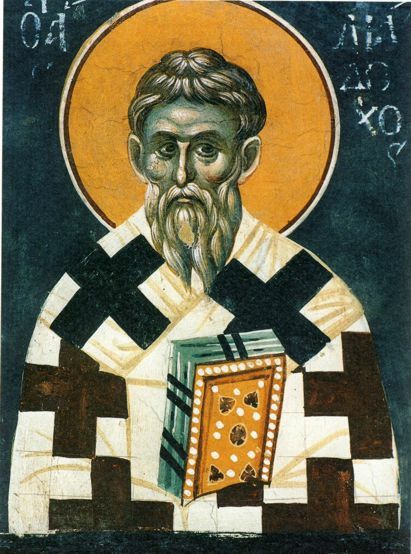 He later became abbot of the Triglia Monastery in Bithynia. On the twenty-sixth Gabriel rises to sing hymns for creation. 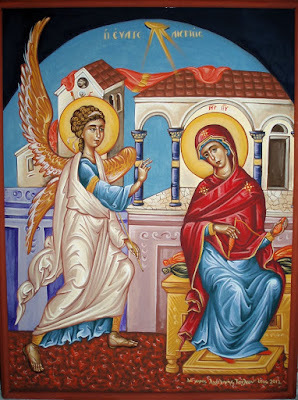 The feast of the Annunciation of the Virgin Mary is a feast of the Lord and of the Mother of God (Theotokos). It is a feast of the Lord because Christ who was conceived in the womb of the Theotokos. 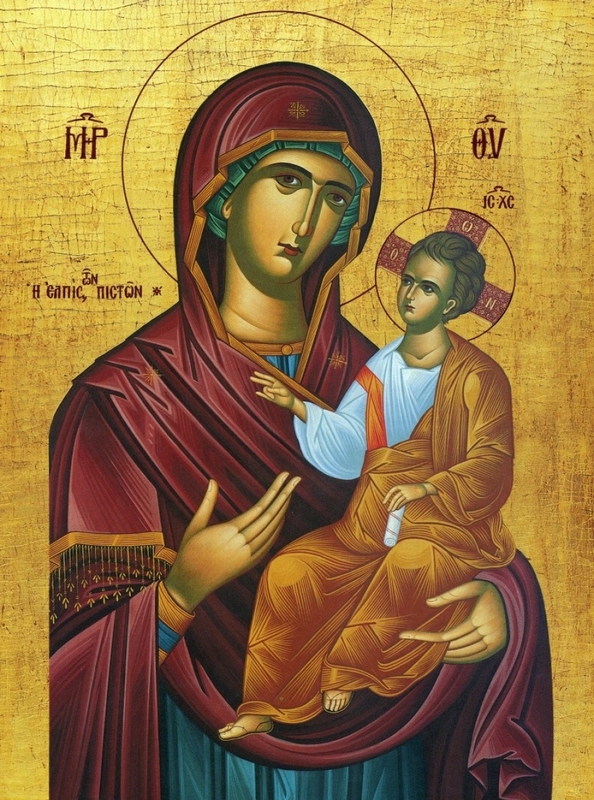 It is a feast of the Theotokos because it refers to the person who aided in the conception and Incarnation of the Word of God, that is, the All Holy Virgin Mary. Mary (the Theotokos) has great value and an important position in the Church, precisely because she was the person whom all generations awaited, and she gave human nature to the Word of God. Thus the person of the Theotokos is associated closely with the Person of Christ. Furthermore, the value of the Virgin Mary is not only due to her virtues, but also mainly to the fruit of her womb. 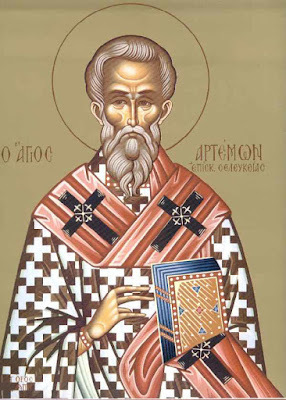 For this reason, Theotokology is very closely associated with Christology. When we speak of Christ we cannot ignore her who gave Him flesh. And when we speak of the Virgin Mary, we simultaneously refer to Christ, because from Him she draws Grace and value. 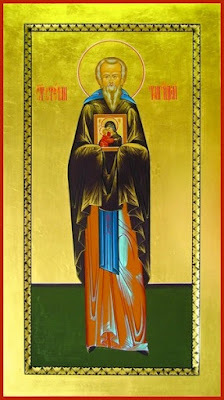 This shows clearly in the service of the Salutations, in which the Theotokos is hymned, but always in combination with the fact that she is the mother of Christ: "Rejoice, for you are the throne of the king. Rejoice for you bear Him Who bears all things". Our present gathering in honor of the Most Holy Virgin inspires me, brethren, to say of Her a word of praise, of benefit also for those come unto this churchly solemnity. It comprises a praise of women, a glorying of their gender, which (glory) is brought it by Her, She Who is at one same time both Mother, and Virgin. O desired and wondrous gathering! Celebrate, O nature, that wherein honor be rendered to Woman; rejoice, O human race, that wherein the Virgin be glorified. "For when sin did abound, grace did superabound" (Rom 5:20). The Holy Mother of God and Virgin Mary hath gathered us here, She the pure treasure of virginity, the intended paradise of Second Adam -- the locus, wherein was accomplished the co-uniting of natures, wherein was affirmed the Counsel of salvific reconciliation. Her spirit hath departed, and her flesh decayed long ago. 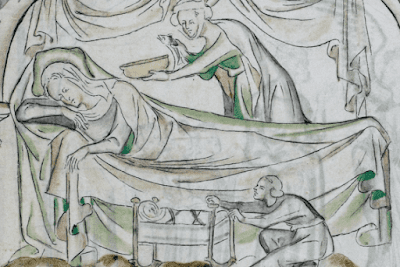 O earth, conceal the bony corpse of Mary. 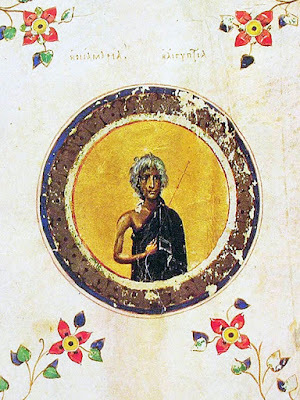 Why Is St. Mary of Egypt Remembered During Lent? 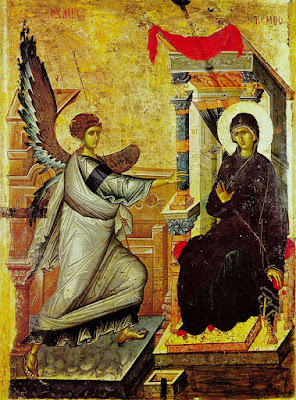 The Angel said, "Rejoice", to Mary on the twenty-fifth. 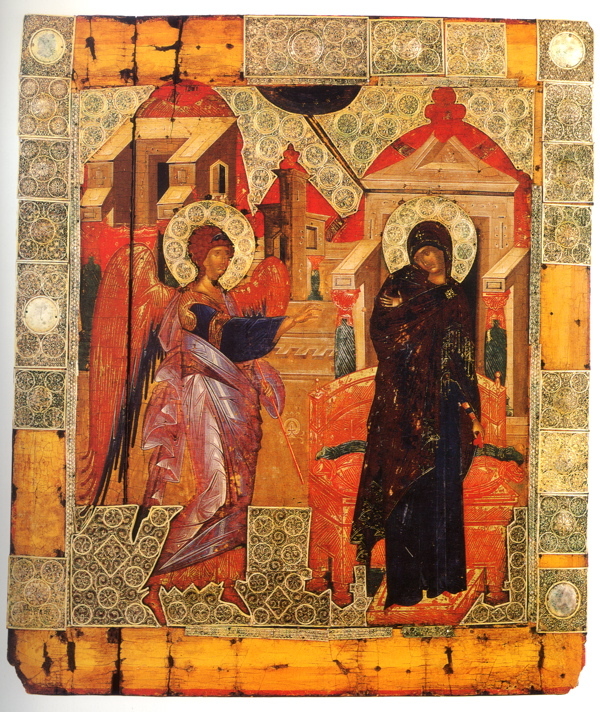 'There was a certain holy woman in the holy city, who was very devout, and who walked in the will of God. The devil was envious of this virgin, and instilled in the heart of a certain young man an impure and diabolical passion for her. This wonderful virgin discerned the devil's wickedness and was troubled lest the young man lose his soul, so she took a blanket, and a few loaves (hard loaves to be prepared by steeping in water) and went to the desert, hoping not only that her departure would free the young man from his temptation and be the salvation of him, but also that she would find security in solitude. 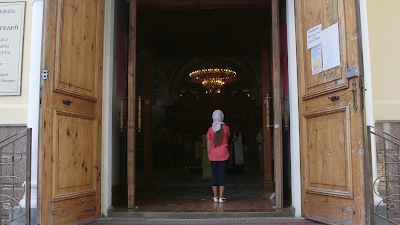 'When we were on our way back from worshiping at the holy mountain it happened that we took a wrong path and wandered completely alone in the desert for several days. At last, however, we saw that we were walking towards a narrow cave in the distance. 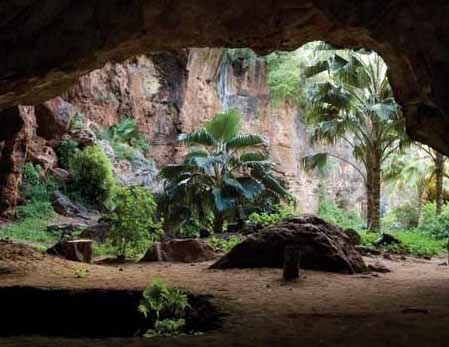 We could see a small pool of water, with grass growing around it, and signs of human habitation. 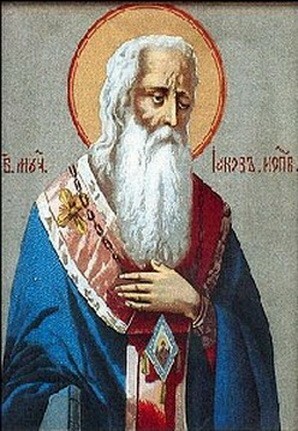 The Holy Martyr Stephen of Kazan was a Tatar Muslim. For more than twenty years, he suffered from a weakness of the legs. After the capture of Kazan by Ivan the Terrible in 1552, he believed in Christ through Archpriest Timothy and received healing. 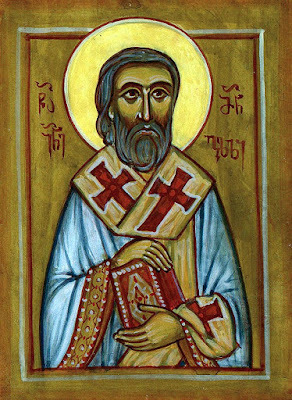 The Saint was baptized by Archpriest Timothy of the Moscow Cathedral, who had brought a letter from Metropolitan Macarius to the Russian army. 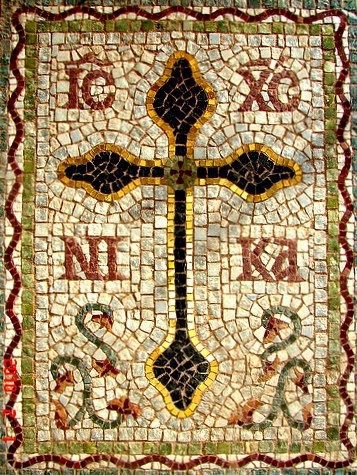 After the Russian army withdrew from Kazan, Stephen confessed his faith in Christ and the Tatars accused him of apostasy. Less than a month after his baptism, the Tatars chopped the martyr Stephen into pieces, scattered his body and plundered his house, because he remained faithful to Christ. His martyrdom took place on March 24, 1552. 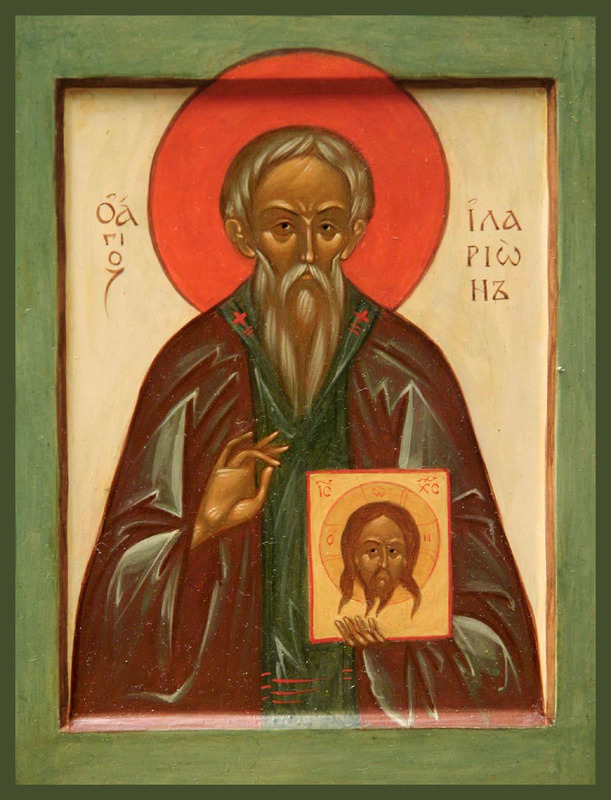 Saint Pachomius of Nerekhta, in the world James, was born into the family of a priest at Vladimir on the Klyazma. He was sent to school, where he learned the Holy Scriptures very well over a period of seven years. When he was 12 years old his father died, and finding the bustle of the perishing world burdensome, he went to the Vladimir Nativity Monastery. 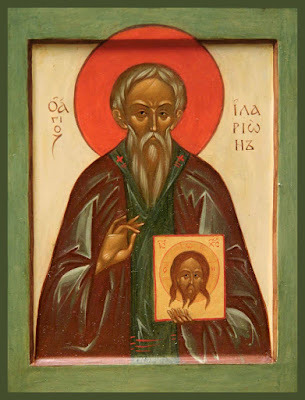 There he was tonsured at the age of 21, taking the name of Pachomius after Saint Pachomios the Great, fulfilling various obediences without complaint. 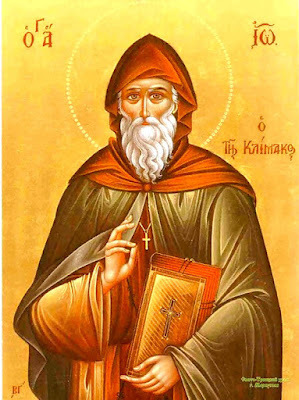 A few years later he was ordained a Deacon and in 1352 a Priest. 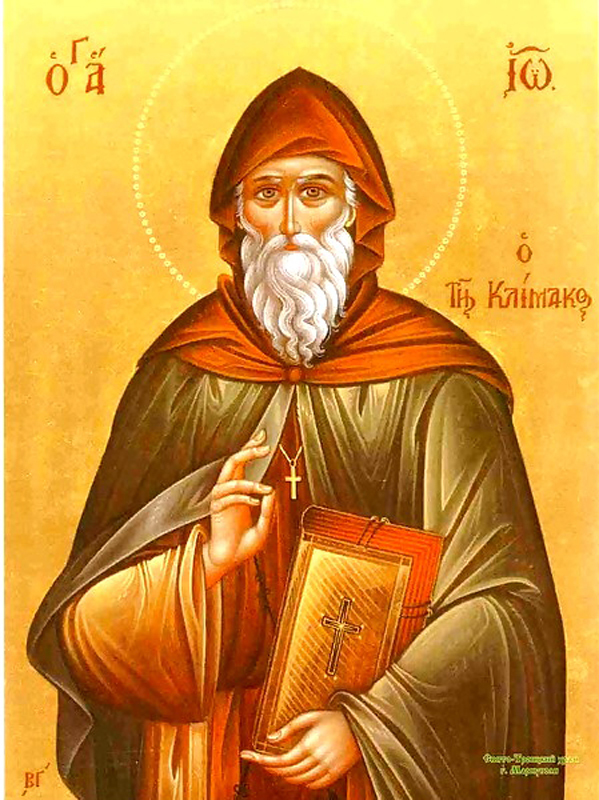 In 1365, upon the reopening of the Constantine Monastery, he was appointed first abbot. On the twenty-third Nikon gave his head to the sword. 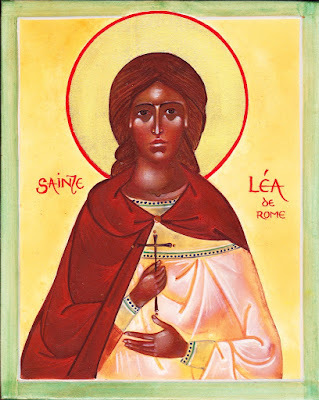 All that we know of Saint Lea comes to us from one epistle of Saint Jerome (Ep. 23) which he addressed to Saint Marcella. Lea was a noblewoman of Rome, born into wealth and privilege, and she was a contemporary of Jerome. However, soon after her marriage she was widowed and left very sound financially. 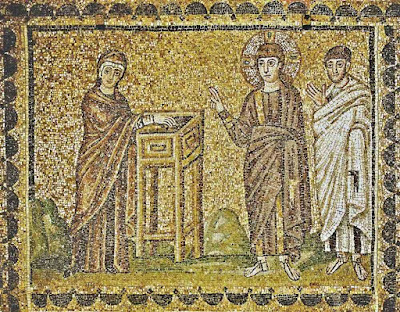 Instead of retiring as a wealthy widow, however, she joined a convent of consecrated virgins in the city of Rome — shedding all the money and social standing she possessed. In later years she was named the prioress of the convent. Saint Lea supported the house run by Saint Marcella, working as a menial servant, and later served as the group’s superior. The right-victorious queens of the heavens. 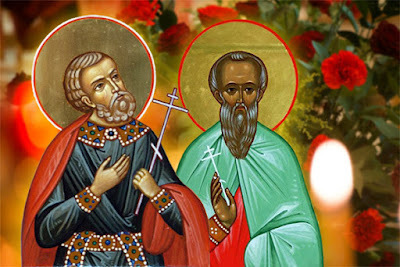 Saints Kalliniki and Vasilissa were from Galatia. 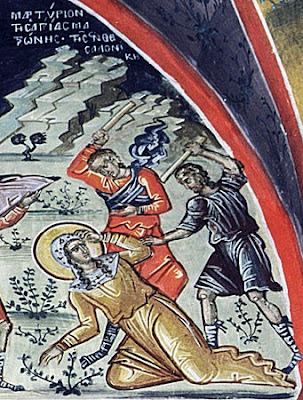 Because Vasilissa was pious and wealthy, she would give her helper in good works Kalliniki money in order to bring aid to the imprisoned Christians, who suffered during the persecution of Emperor Gallus (251-253). 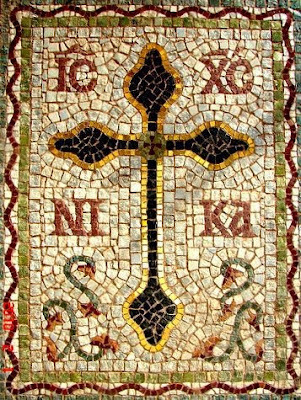 By doing this they hoped to give strength and courage and in turn to secure the blessed prayers of these holy confessors. On the twenty-second Basil was pierced with spikes. "Elder, I brought some money, because your OTE bill must be big." "What are you talking about, foolish one? Here we are building a church and we're gonna give so much money to OTE? Put it in the box we have for the building of the church." Their friendship perfected by beheading. These Holy Martyrs were from the great and glorious city of Rome. * During the persecution against the Christians, they walked to Italy and preached Christ, where they converted many to faith in Christ, and baptized them. For this reason they were arrested by the idolaters, and brought before the ruler of Italy. 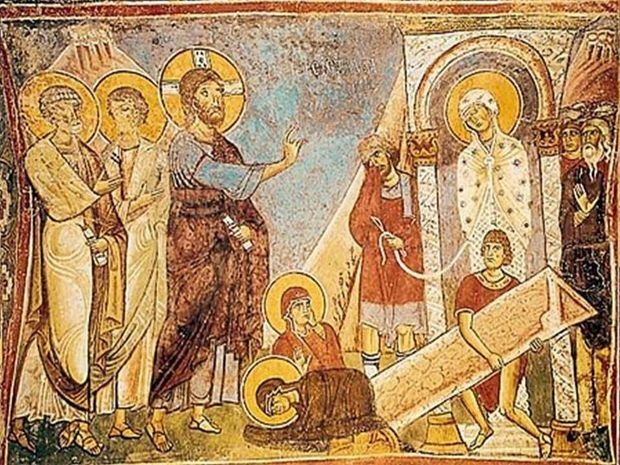 Because they were neither softened by flatteries nor persuaded by the promises of gifts, but they called upon Christ and proclaimed Him God, the idolaters suspended them to the ground naked by their four limbs, and they were beaten mercilessly, then cast into prison. They were then taken out and their holy heads were cut off, and in this way the blessed ones received the crown of martyrdom. 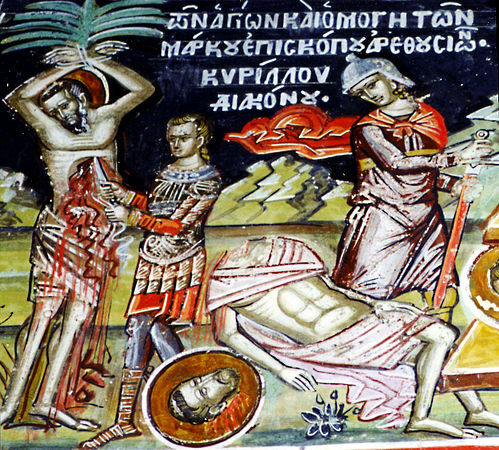 * Some sources say they were from Thessaloniki and were martyred in Rome. When the grace of God moved my heart to come to this blessed place of quietude and prayer it was February in the year of our Lord 1910. 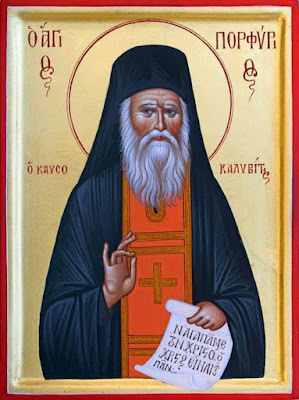 My desire was to go to the Skete of Kavsokalyva, where the Blessed Akakios, who came from the same place as I did, was living the ascetic life and where two brothers after the flesh, both hieromonks and from my hometown, were also living. One of these, the spiritual guide Panteleimon , a most blessed and extremely virtuous man is perhaps the oldest of the surviving Athonites, being now 103 years old. I had taken the decision that after my arrival on the Holy Mountain I would go and live as an ascetic, so I set off on land from Daphni to go to Kavsokalyva. 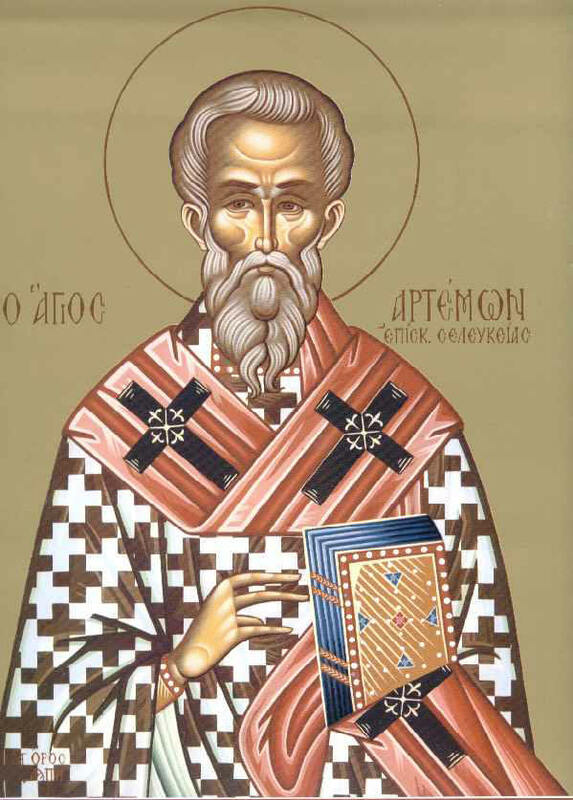 But as I passed through the Holy Monastery of Dionysiou, I saw the orderliness of the fathers at the funeral of an elderly deacon, which happened to be taking place on that day. 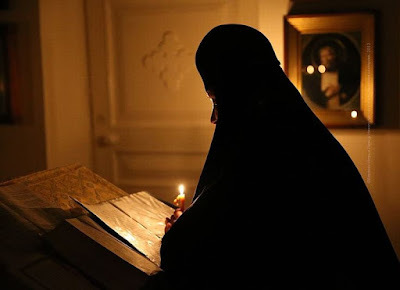 I was impressed by the ascetic nature of the monastery and by the natural environment, so I remained there, casting my hope of salvation onto our All-Holy God and the Honorable Forerunner. God does not punish sinners because it gives Him gratification to destroy men. If that gave Him gratification, He would not have created man out of nothing. He punishes man out of more important constructive reasons, of which two are most apparent to us: First, that by punishment He corrects them and leads him on the true path of salvation; second, to frighten others from sinning. 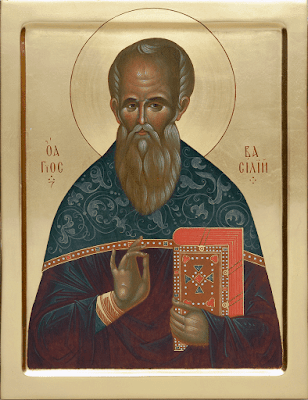 St. Isaac also thinks this when he says, "The just wise man is similar to God, for he punishes man, not to reproach him for his sin but either to correct man or to instill fear in others." You will hear this kind of justification from many who pursue riches: "When I become rich, I will be able to perform good works!" Do not believe them, for they deceive both you and themselves. 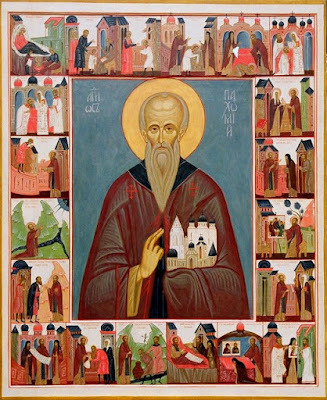 St. John Climacus knew in depth the most secret motives of men's souls when he said, "The beginning of love of money is the pretext of almsgiving and the end of it is hatred of the poor" (Step 16). This is confirmed by all lovers of money, the rich or the less rich. The average man says, "If only it were that I had money, I would carry out this and that good work!" Do not believe him. Let him not believe himself. Let him look at himself, as in a mirror, at those who have money and who are not willing to do this or that good work. That is how he would be if he acquired some money.